16:9 letterboxing. To remove, see Ultra-widescreen. Can be adjusted in the ingame settings menu or by using Alt+↵ Enter to switch between windowed and fullscreen modes. 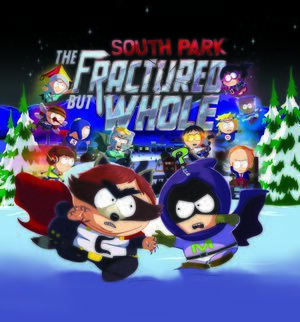 Open SouthPark_TFBW.exe with a hex editor such as HxD. Search for 39 8E E3 3F. Replace with 26 B4 17 40 (for 2560x1080) or 8E E3 18 40 (for 3440x1440). This problem occurs because the game could not catch your PC resolution automatically, the solution is to exit fullscreen upon starting and play in windowed mode. Press Alt+↵ Enter at the black screen. Game should be windowed with display. Players reported that running the game in Windows 7 compatibility options and as administrator sometimes help. ↑ 1.0 1.1 File/folder structure within this directory reflects the path(s) listed for Windows and/or Steam game data (use Wine regedit to access Windows registry paths). Games with Steam Cloud support may store data in ~/.steam/steam/userdata/<user-id>/488790/ in addition to or instead of this directory. The app ID (488790) may differ in some cases. Treat backslashes as forward slashes. See the glossary page for details. This page was last edited on 15 April 2019, at 11:38.